Every killed mob is your well-deserved prey unless, of course, you are hunting cows and sheep. As a trophy, you received only a drop such as meat and various items for crafting. There are mob heads but they are not an interesting option for decorating rooms. 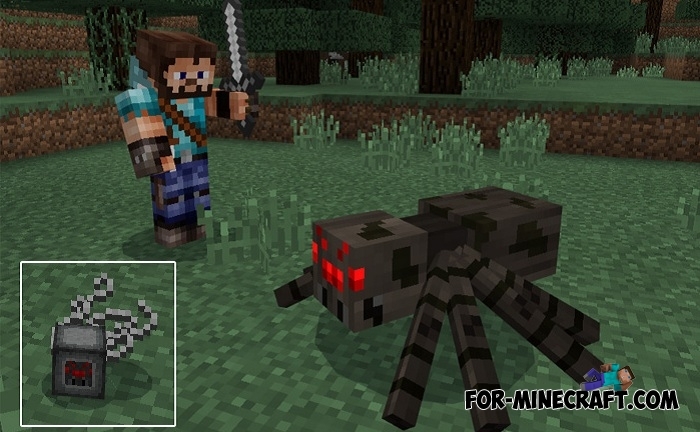 Everything will change if you install the Trophies addon which adds a lot of new blocks symbolizing the killed mobs. The hunted blocks are trophies, place them in a conspicuous place to show everyone how strong you are as a hunter or assassin. The trophies are not as compact as one would like and can not be hanged on a wall like a stuffed head. Download the Animals addon to add the largest collection of animals to Minecraft PE and also get realistic trophies. A large mansion is a great place to arrange new blocks. For the most part, the addon is designed to decorate players' houses, because there are no ways to use the trophies. Download the file and run it using MCPE. Activate the addon in the settings of your world.